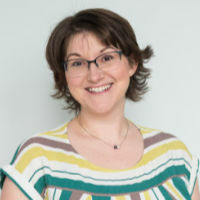 This is a guest article by Isidora Roskic. Behind good companies lie great stakeholder relations. In a nutshell, stakeholders are individuals or groups that have interest in a company and are directly impacted by its decisions. Stakeholders: individuals/groups interested in a company and impacted by its decisions. Owners, employees, suppliers, creditors, directions and many more all fall under the category of stakeholders. Some companies may prioritise certain stakeholders, such as their clients, over others. However, stakeholder management involves being able to develop and maintain positive relationships with everyone impacted by the business and not just a selective portion. Stakeholder management comprises of 4 key steps that must be completed in order to successfully deliver a project or task. It is critical that in the project start-up phase you uncover who exactly your stakeholders are. Think about who will be impacted by the outcome of your project and who can exert influence on it as well. Correctly identifying your stakeholders is absolutely crucial because otherwise it’ll be much more difficult to try and develop a strong relationship with them. It’s important to look outside company walls and consider who your external stakeholders are; conducting interviews with project participants will allow you to uncover even more. Making a basic list of possible stakeholders, like the one below, is always a great start. After completing the first step of stakeholder management, you may find yourself with a long list of individuals and organisations impacted by your company. Categorise, organise and prioritise between them based on their interest in your project and the impact they have on it. When looking over your list you may notice people with a high influence over the outcome of your project but with very little interest in it. It’s important that you keep them informed and interested but you shouldn’t overdue it or else you may drive them farther away. On the other hand, those with lower power may be eager to be involved. Make sure that you continuously communicate with them because they can be helpful in providing you with important details about your project and notifying you if they see any issues arise. And lastly, once you identify your company’s most interested and influential stakeholders, they will become your main focus. Put the most effort into making sure they are satisfied and fully engaged. Communication is key, and there’s no doubt about it! This will ensure that the desired message is being delivered across all stakeholders. You need to understand that this involves two-way communication. Trying to satisfy and meet the needs of all your stakeholders is extremely difficult and in some cases you won’t be able to please everyone. Stakeholders can also provide you with lots of insightful information about the project. Show that you are empathic and interested in their perspectives or ideas. This will make it easier later on when trying to compromise with various stakeholders who may have different priorities or opinions on how the project should be done. However, it’s important that you still maintain governance over the progress of the project. Trying to satisfy and meet the needs of all your stakeholders is extremely difficult and in some cases you won’t be able to please everyone. Not all stakeholders are equal and so you may choose to communicate with each of them differently in order to save time and energy. For instance, the highly influential and interested stakeholders much be managed closely and constantly. You can use status meetings or change logs to effectively communicate with them and make sure they are aware of project progress. For those individuals who still have a strong impact on the company but are less interested in the project you may choose to use steering committees or simply updating them through board meetings. Interested but lower power stakeholders can be communicated over e-mail, video or even in person. Simply keeping them informed on project updates will suffice. Lastly, low power and uninterested individuals should be monitored but rarely contacted. Sending them e-mails or status reports will keep them satisfied. 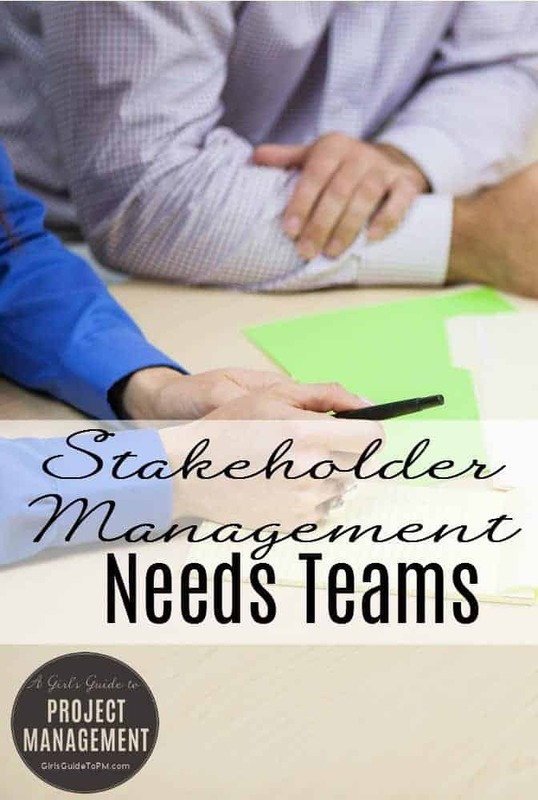 Stakeholder management isn’t always an easy task and requires teamwork. Teamwork comes from everyone involved in making your projects a success. Team members learn to communicate, coordinate and support one another when issues arise. Each member will have a unique perspective on the problem making it to bounce ideas off one another and decide on a solution. Teamwork allows employees taking part in a project to bond with one another. Very often project management will involve bringing together employees from different areas of the business. This allows them to share knowledge, experiences and skills with one another. Team members can motivate one another to work hard and excel. Strong teamwork will make individual team members much more productive and proficient because they won’t want to let one another down. Don’t forget that teamwork doesn’t only involve those employees within the business. It comes from everyone involved in making your projects a success. Project management software, such as ITM Platform, allows you to strengthen your team relationships by easily communicating with team members and providing them with access to all the information needed. They also give you the opportunity to receive external support as well to ensure that you stay on task and successfully achieve project goals. About the author: About the author: Isidora Roskic is a blogger at ITMPlatform. *This article contains affiliate links, meaning I make a small commission if you click and sign up. There’s no charge to you and it helps keep this website going! Thanks! Filed Under: Stakeholders Tagged With: This article contains affiliate links. I always find that stakeholders and the engagement thereof is like a woolly jumper…. take great care of it and all will be well; allow one small thread to come lose, no matter how small/influential, the whole thing can unravel very quickly! ‘Step 2: Determine a Stakeholder’s Influence’ is very important. Often this has been ambiguous on projects that I’ve worked on. Sometimes it’s not been ambiguous but the stakeholders understanding of their role has differed from the project managers view or it’s changed over time. Monitoring and controlling the influence of stakeholders is an important follow up to determine a stakeholder’s influence, as it’s not a one shot deal. I agree – the influence of a stakeholder changes over time, as does their interest in what you are doing. Stakeholder management is often done at the outset with a grid but then that isn’t updated as the project progresses and people’s positions move on. I’d love to say I do that on every project at every timely point, but I’m as guilty as everyone else of not always following through.